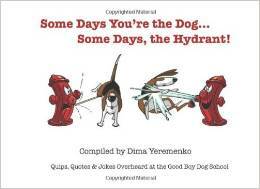 What is “Dima’s Dog School” book about? 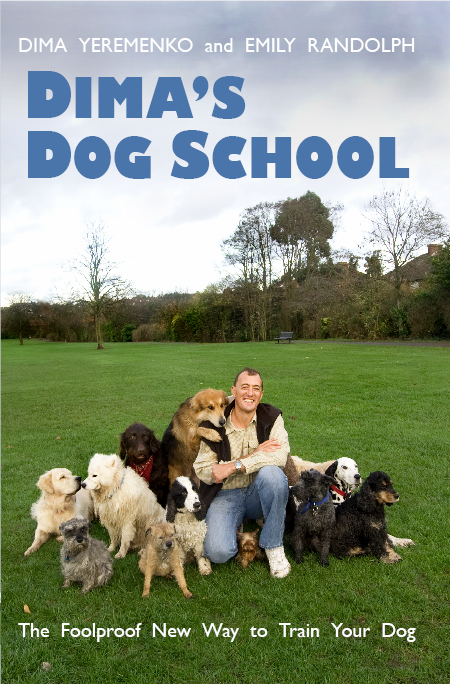 The book explains all the basic tools dog owners need to become good dog handlers making their dog want to learn. Dima’s Dog School’s ten training sessions guide dog owners through all they need to learn to properly instruct their dogs with success. They will establish the essential foundations that can take them to any level of dog training, from general obedience to working in the show ring. The book overs all the most common training and behavioural problems, offering both solutions and practical management methods for dog owners. It also includes case histories and shows what it takes to be a responsible dog owner. We are thrilled to have the backing of Our Dogs magazine – the biggest professional dog edition in the world. the leading canine weekly which has been published continuously since 1895. Our printed paper has covered the world of dogs, shows, breeding and exhibiting since the reign of Queen Victoria. Now, through our web site, dog lovers from all over the world can access our unrivalled fund of material. Here you can read the latest news from shows around the world whilst having access in our members section to a unique fund of photographs, show reports, breed notes and interesting articles from leading contributors. Go onto our home page www.ourdogs.co.uk now for an easy to follow listing of all our services and sections. This great book has been out of print for a while and during that time copies were selling at astronomic prices – an indication of just how good it is!! Subtitled “The Foolproof Way to Train Your Dog”, this 237 page best seller has now been re-issued in paperback. The following reader’s review says it all!! “This is a charming book filled with wonderful dog stories and training advice. It reads wonderfully – very fast – and all dog lovers, whether their dog needs training or not, will enjoy it thoroughly. It has many funny bits that me laugh out loud. Dima Yeremenko’s Hand Feeding technique is really helpful. Already in just a few days, my dog is beginning to look to me for guidance whereas before she ignored me! I have been to lots of trainers with little success. Dima’s advice is spot on and very practical. At last, a trainer who can help us all to turn our dogs into star pupils – no matter how young, old or badly behaved. No need to say more – Dima’s way works! !